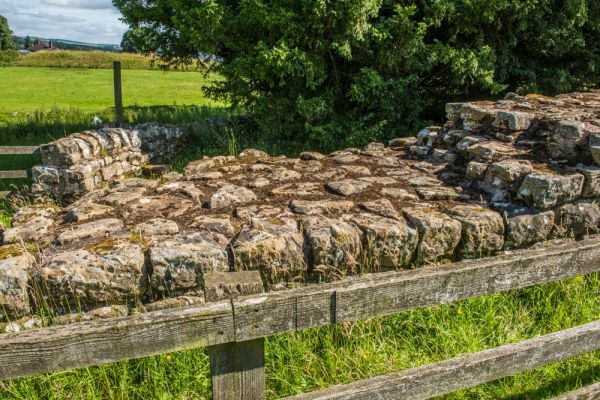 The Roman site at Brunton includes a short section of Hadrian's Wall, 69 metres in length, and the remains of a turret. The turret stands to a height of 2.5 metres. 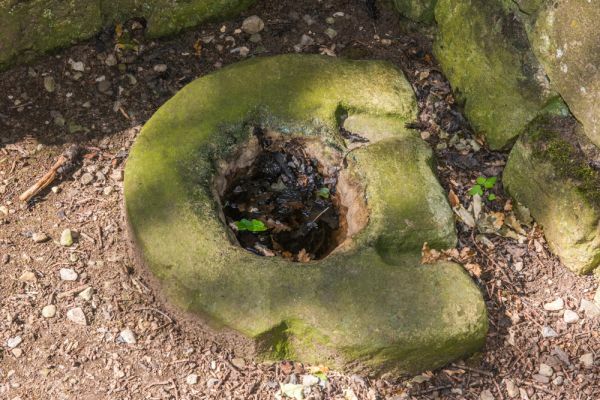 Interestingly, the interior of the turret features the remains of an altar. The turret measures 12.75 by 11.5 feet internally and is set into the thickness of the Wall on its north side. The layout of the turret suggests that it was built first, then the Wall was built to connect to it. The turret is also known as Turret 26B. This section of the Wall is fascinating, for it is where the Broad Gauge wall meets the Narrow Gauge wall. 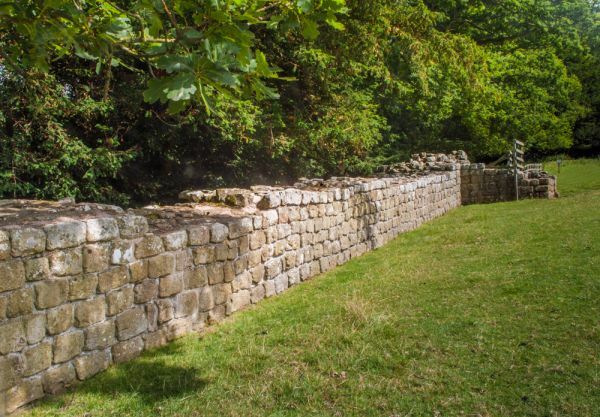 When Hadrian's Wall was begun, it was with a width of 3 metres. This was later altered to a narrower 2.3 metres. At Brunton and nearby Planetrees turrets you can see where the two widths of Wall join. 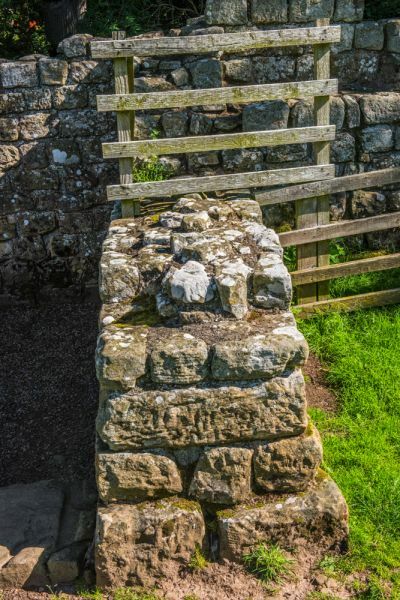 On the east side of the turret is a wing wall to support the turret as it joins the Wall, and on the west the turret is joined directly to the Wall. It seems possible that two different gangs of workers were responsible for each side of the turret, and came up with different solutions. 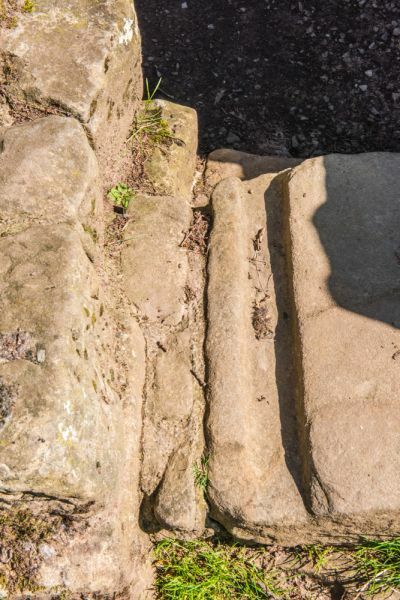 The threshold stone shows an obvious pair of deep grooves where the stone jambs stood, and a pivot hole and curved channel shows where the doorway hinged. It seems most likely that the soldiers of the 20th Legion were responsible for the construction. Close to the turret a centurial stone was found, with an inscription which translates as 'The century of Paulus Aper of the ninth cohort'. The exposed section of the Wall leading to and from the turret gives a very good idea of how it was built. 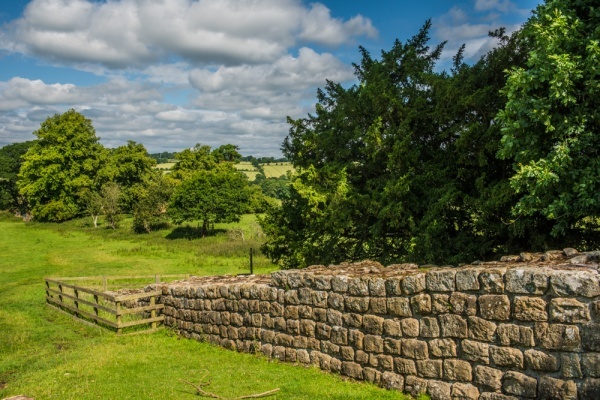 Brunton Turret is just a few miles from Chester Roman Fort. 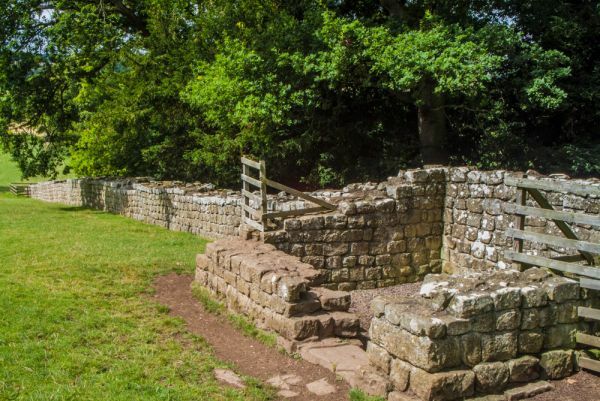 Brunton is one of the easiest sites on Hadrian's Wall to access. It is located a very short walk off the A6079 just southwest of its junction with the B6318. There is a layby on the east side of the A6079 with space for 3-4 vehicles, and a brown tourist sign pointing the way across a field to the turret and wall. A word of warning; don't rely on the official postcode for your satnav; it will direct you to a house on the B6318. Just follow the directions above, and you'll be fine. It really is very easy to find. For some reason, the official English Heritage website suggests parking at Chesters Roman Fort, across the River Tyne outside Chollerford. Well, you could do that, but then you'd have a stiff 20-minute walk to Brunton. Unfortunately, there are no information panels to explain the site or give you an overview of its history. It is, however, a lovely location, and both the Wall and the turret are in very good condition. Location: Located just off the A6079 south of Low Brunton.